Only a few months left until you walk out with a Bachelors degree, but you may be feeling just as I did around this time of year: graduation is approaching and I still feel like a total PR noob. If it’s any comfort, even the most prepared, color-coordinating, planner-highlighting PRSSA star (we all know one, and if not you’re probably it) will feel anxiety, discomfort and uneasiness (along with excitement) about the upcoming new life stage. One way you can truly stand out from the PR crowd, (and there’s a lot of us), is to pursue your Certificate in Principles of Public Relations. This is a uniquely timestamped accreditation to boost your resume and stand out in the PR industry. A graduating public relations student is allowed to study for and take the exam only six months before or after graduation. Although I in no way felt like a functioning member of society with my Pop-Tart breakfasts, mascara flakes and struggle to meet deadlines, a professor encouraged me enough to try and achieve this. I strongly recommend any senior interested in taking this certification to study and take it about a month or two before graduation. In case you fail it and need to retake it, you will need to wait an additional 30 days; giving yourself some extra time to be certified before graduation will demonstrate forward-thinking, maturity and good time management. To be honest, I isolated myself for an entire weekend (a Friday afternoon through Sunday night) and diligently listened to the 17 hours of audio-recorded PowerPoint slides. If you’re a PR nerd like me, you will find much of the information interesting, reminiscent of your freshman ‘Intro to PR’ class, and a great review for the future. The curriculum covers all basic, relevant topics such as PR’s history, theories, RPIE, Media Relations, Communication Models, Ethics, Law, Crisis and Technology. It was not difficult and very doable- I just had to focus. One will also need to keep in mind that the exam will be taken at a certified testing center, so as you begin your studying, book a testing appointment at a center near you (unfortunately this is going to cost you some money too). This future date will be your accountability for completion and a reservation amidst limited bookings. After my rigorous weekend studying, I lightly reviewed the material a couple times a week for two more weeks. When the date arrived, I grabbed a sweater and ID (2 forms needed) and headed to the center. In case you’ve never been to a testing center before, the atmosphere is always silent, cold and serious. Be prepared for what you need and don’t fool around! The test took me about 65 minutes, but you are given 90 minutes in total. Although you don’t know question-by-question what was answered correctly or incorrectly, you are notified upon completion of your pass or fail. The majority of questions were thoroughly covered or linked to the curriculum I studied, with very few surprises or confusing me. Be mindful that there is very little raw memorization, meaning you will need to use intuition, common sense and foundational principles taught in the curriculum to answer scenario-questions (.ie., an ethical dilemma at work). Of course, all of you would take time to study and be prepared as well! With no doubt, you will pass this certification exam if you study their curriculum and apply what you have learned in public relations to every scenario. You too, will then be able to hold your head up high and confidently address that interviewer, job recruiter, or even your parents when asked how you have been preparing yourself for your future life stage. Now get online and register for your Certs! …And go buy some vegetables. Victoria Leigh Ward is a marketing brand specialist at Wilshine Events & Associates, located in Glendale, CA. 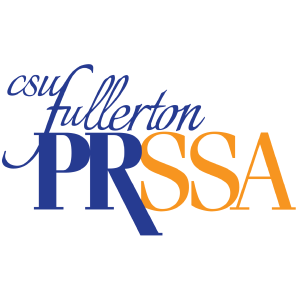 She completed her Certification in Principles of Public Relations in 2017 upon graduation from Biola University. Please contact her at victorialward@gmail.com.